Whats the deal with the maf? I thought that 4th gen mafs needed an adaptor to go inline with the tube? That one looks modified to sit in a hole cut to fit? I've never seen this done before. I'm genuenly curious. They normally do, but I cut the sensor out of the stock housing and glued it into a 3.5" pipe. There are more pics of it here. Just a pic of my interior. I like where you fitted that AEM gauge. Looks natural. Its so much easier to keep an eye on the AFRs there than when I had the gage in place of the cigarette lighter. I never understood the point in putting a gauge way down there. Even your gear shift is constantly in the way and your hand is always changing gears. It was there because my EU was under the passenger seat at the time and the wideband cable wouldn't reach any further. There wasn't anything blocking my view of the gage, though. Major downside was having to take your eyes off the road to look at it. 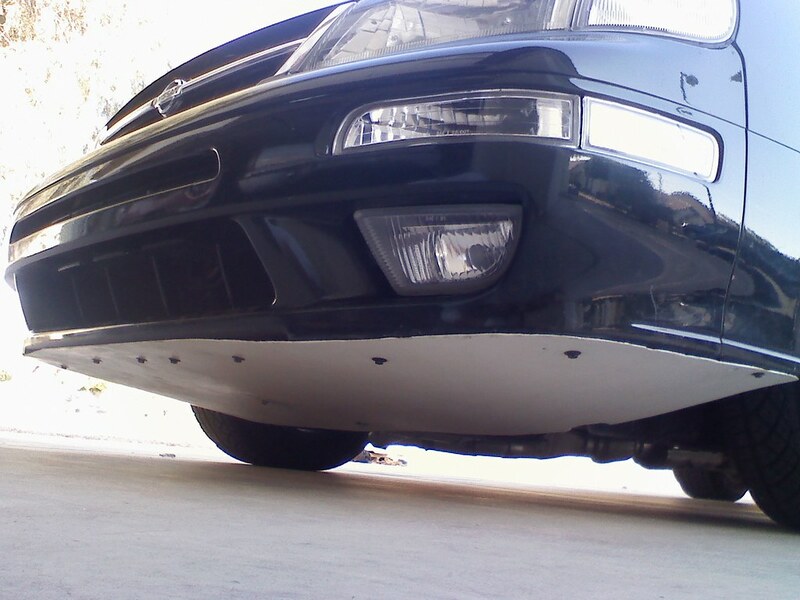 I moved it when I was messing with a Z32 MAF and had to keep a close eye on my AFR. I don't want to grenade my motor with this 82mm MAF, simple as that. It's a 97-99 steering wheel. Any forth gen made between those years has one, not just the SE. 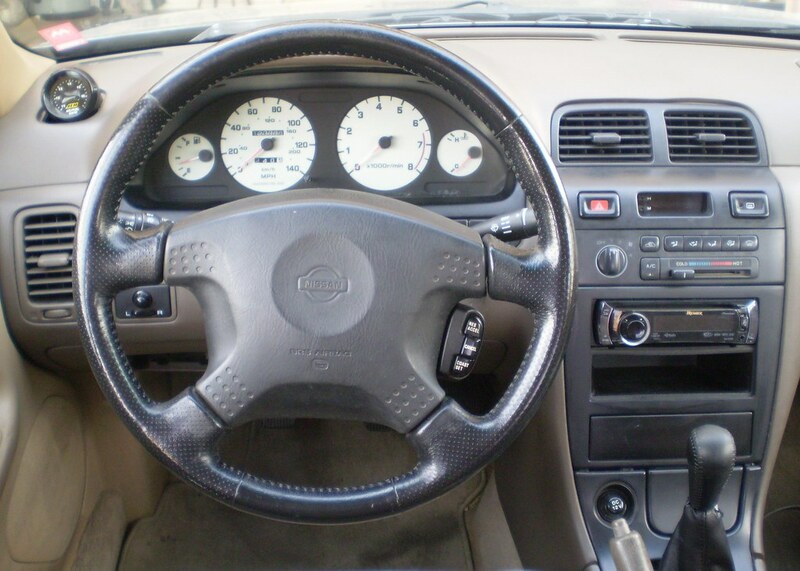 The 95-96 had the fugly non-sporty looking steering wheels. How long is this pipe and is it a 45deg angle? I'm looking to do something similar. I probably won't go as far as building a custom MAF hole but I'd like to get a longer intake to go with my new apexi filter. I really need to get one of those perforated leather steering wheels for my I30. It must have been replaced then. Every 97-99 with any trim has that steering wheel. Yes exactly like that. Thank you sir. I did have another question though. 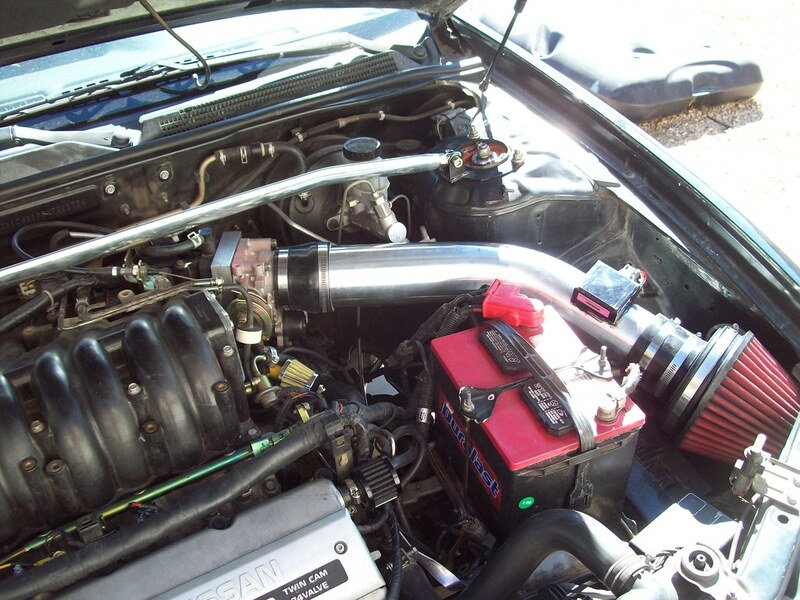 Because you are running the 00vi swap what IAVS are you using and where is the vacuum hose hooked up to it rather then hooking it up to the intake? Last edited by infinimax96; 03-13-2012 at 07:03 PM. IACV or VIAS? Im running a Pathfinder TB & IACV. I deleted the VIAS & Power rod. 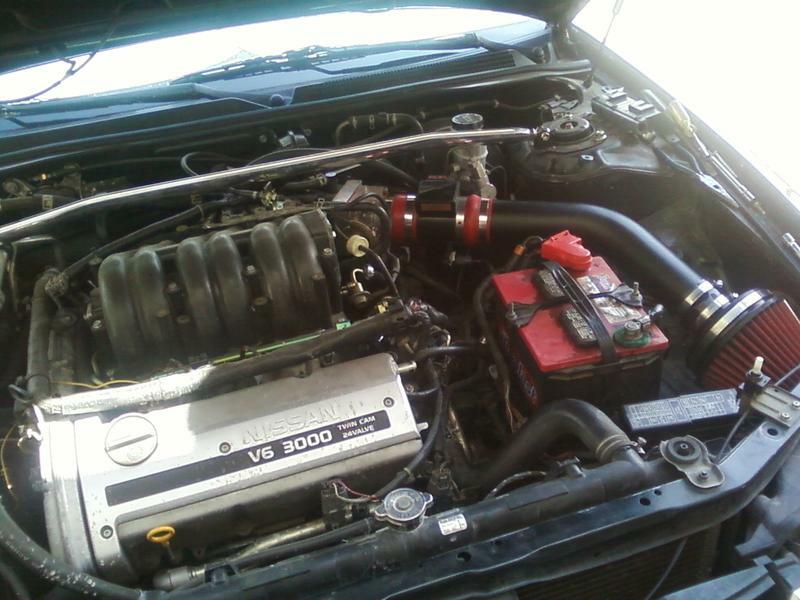 The vacuum hose that was hooked up to the intake is just resting in the engine bay. sorry IACV is what I ment. I ment the hose hooked to the IACV from the stock intake set up. You just have it resting there? I was aware it had to be plugged into the intake. When I converted to the Pathfinder IACV (same style as 5th gen IACV) it removes the hose connecting the 4th gen IACV and the intake midpipe. The small hose connecting the vacuum gallery to the intake midpipe is what I have resting in the engine bay. Ah okay. I guess it looks like I have to keep that mid pipe then since I'm sticking with the 4th gen IACV. I'll probably get that tube and work something out. 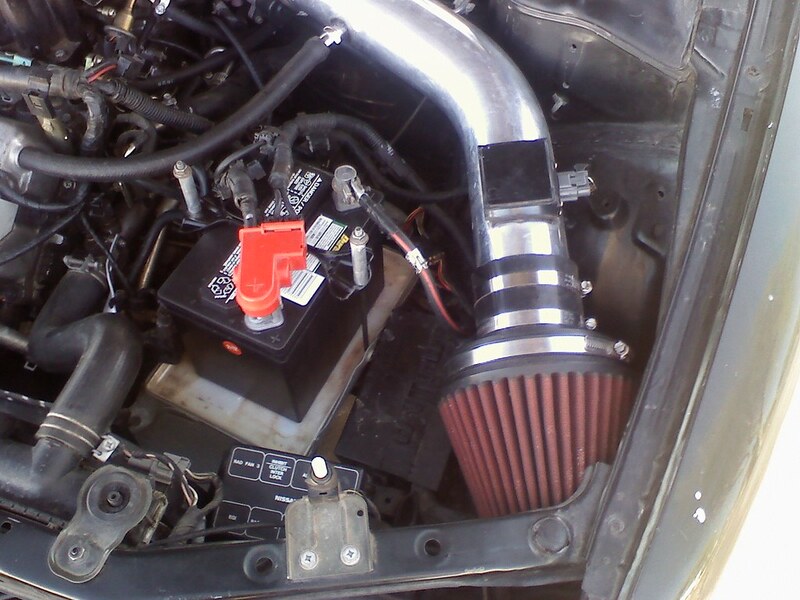 I have the Apexi Power Intake filter so It's a lot smaller then your filter. I should be able to make something work with that and the MAF. If all else fails I'll simply do what you did with your MAF and integrate it into the intake pipe. You can cut a portion of the pipe thats the same length as the MAF so you can put the MAF right at the filter (instead of at the TB like mine), then drill&tap into the piece you cut for hose barbs and put that at the TB. I don't have any good pics of the finished product yet, so this should suffice. Also planning on going to a dyno day scheduled for May 12th. $20 for 2 pulls. Hope it doesn't fall through. Last edited by schmellyfart; 03-30-2012 at 07:26 PM. What is that made of!? I'm also curious to know what it's made of. I have been considering making something of the sorts from aluminium but haven't quite set on a material. 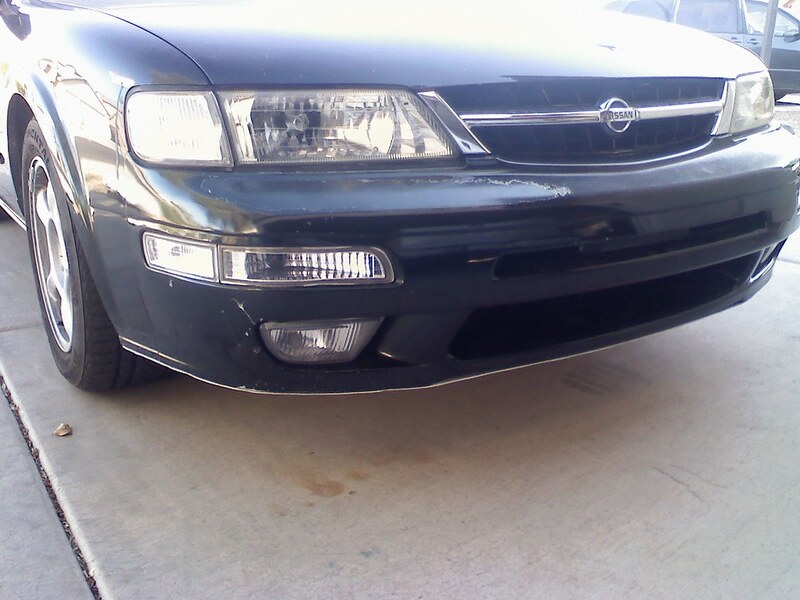 I also want to make a rear valance with slats. Its flexible and relatively easy to work with. I have some leftover that I could use to make another front undertray if anyone wants one. If not I'll be using that material to devise something for the rear. Notice any benefits yet? What did you use to cut it up? You should paint it black. It looks good though. That was enough evidence for me to go ahead and make this one. I will update once I go through a full tank in a few weeks. I scored it with a razor blade then bent it for the larger cuts and used a hacksaw and file for the finer cuts and finishing. I'll paint it when I get around to it, not a huge priority for me right now. Last edited by schmellyfart; 03-31-2012 at 11:07 PM. Awe.. lookie how cute n small it is! by the way, I take it you found the problem with your car after taking it to the track? what ended up being the issue? 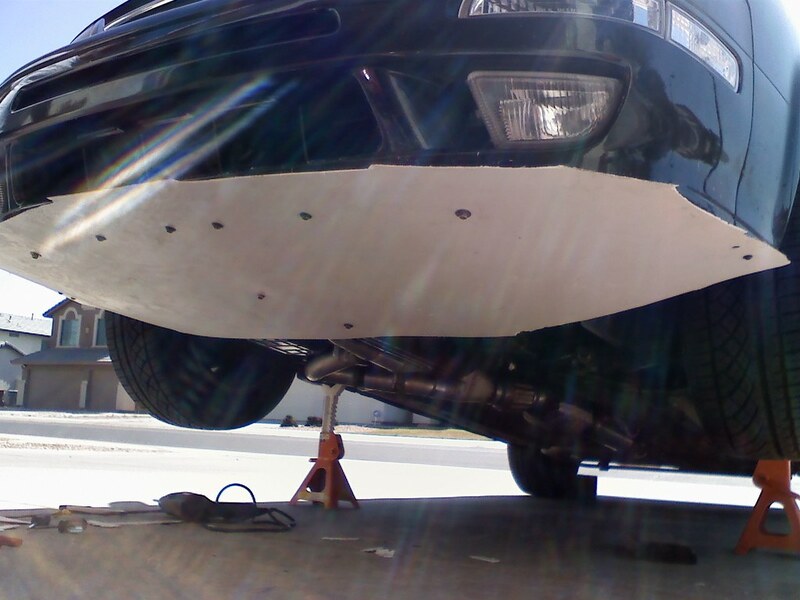 I can't wait to see what your maxi does on the dyno. 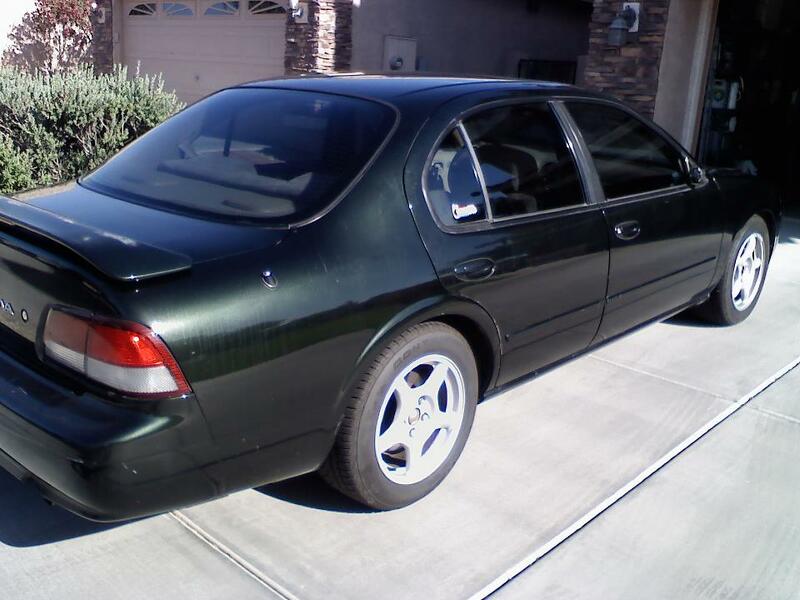 After I get my 00vi on we will be very similar in set up minus a thing or two. I sadly do not have a Greddy Emanage ultimate and will not be using the 5th Gen LIM because I don't have anything to tune the injectors with. Last edited by infinimax96; 04-03-2012 at 12:56 AM. I sadly do not have a Greddy Emanage ultimate and will not be using the 5th Gen LIM because I don't have anything to tune the injectors with. Yeah...it was a fuse On the other hand it seems that when the fuse blew on the track, my EU said, "Oh hay you've got a big MAF installed, why you still pulling fuel?? LOL Ima fix that right now." 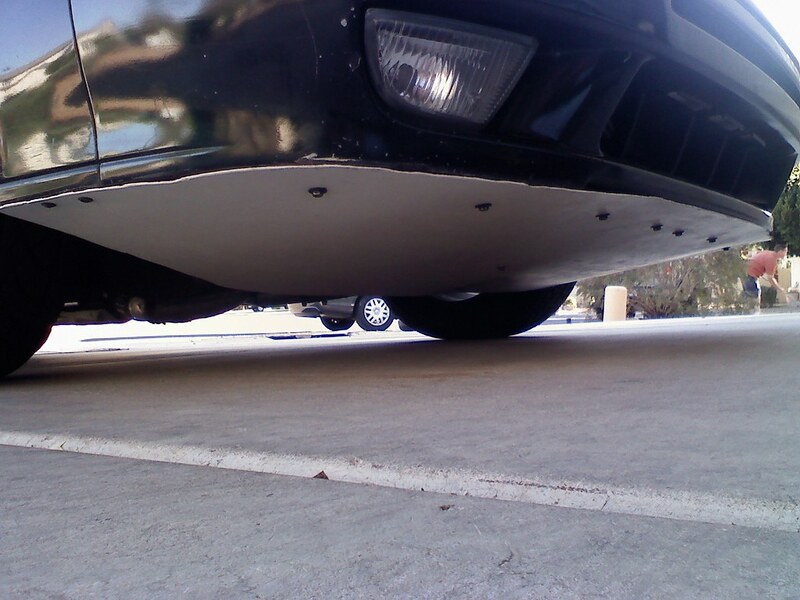 Because as it sits right now, it leans out if I try going WOT. Me too, planning on going in early May. If you're planning on tuning in the future, I would go ahead and install the 5th gen LIM. 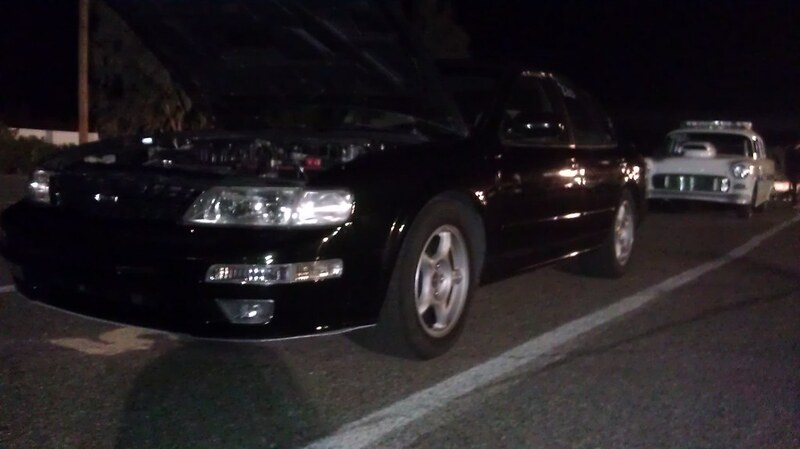 I'm still missing the injector plugs to the 5th gen injectors and there hasn't been any 2000+ maxima's in the junk yard since I got my manifold. (the one I pulled the manifold from had the injector plugs already cut). I figure I'll put the manny on with the 4th gen LIM. Later down the road when I get my hands on everything I need including a Greedy Emanage, I'll swap it all at once and tune everything. Until then, I should still get some good gains with just using the 4th gen LIM. On my quest for 30mpg city I'll be recording all weight reductions from here on out and eventually have the car weighed. Last edited by schmellyfart; 05-03-2012 at 12:28 AM.